Why isn&apos;t there a toothbrushing podcast for adults? 2 minutes interesting factoids/stories with 30 second "change quadrant" signals. @map now i want to edit »no such thing as a fish« episodes into exactly that. i’m pretty sure that would work. @map Das ist eine wirklich ziemlich gute Idee. @map @rstockm gute Frage. Fest steht, dass ich mit meinen Kopfhörern beim Zähneputzen nicht gut höre (außer, ich mache es sehr laut). Beim elektrischen Putzen schon gar nicht. Experimente mit Hörspiel, Musik und Fernsehen(!) haben übrigens gezeigt, dass die Kids meistens nicht putzen, bei Berieselung, sondern nur auf der Bürste kauen. 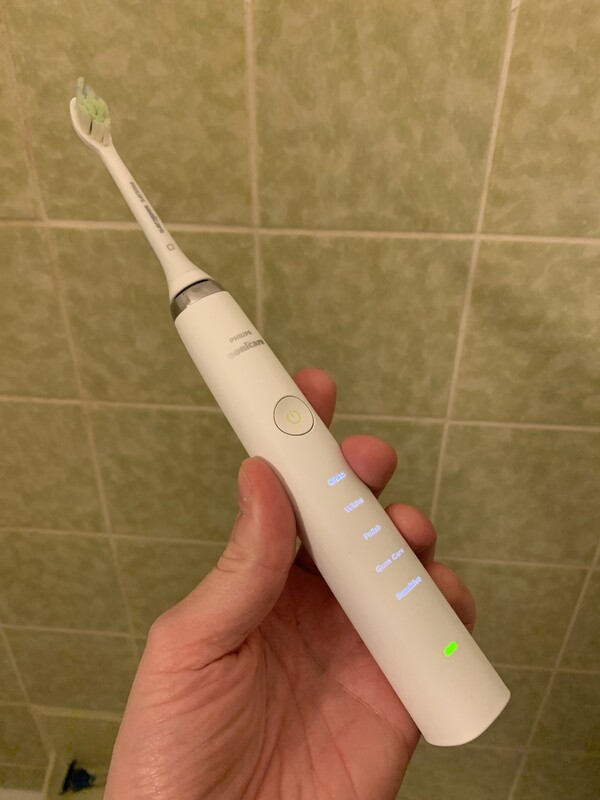 @map Aren’t (electric) toothbrushes telling that to you anyway? Maybe it’s a good idea for someone but the good thing about Podcasts in my opinion is that you can listen to them even and parts whenever you like and I just go on listening to the ones I’m listening to anyway. @Malik don&apos;t know about your toothbrush, but mine isn&apos;t very entertaining. @map And fact I do like mine and it’s telling me every 30 seconds to change the position get the Podcasts or coming from my phone usually. Maybe we should do a quick podcast about it.